If you want a nice simple board to solder up for fun, or just to learn a bit of soldering, then you might like to consider a Zombadge Kit from Snootlabs. They are kind of fun! They come as a complete kit, with a lithium cell that fits in a holder on the back. The instructions for building the kit are clear and simple, in Snootlab's usual photo-cartoon style. They also tell you how to identify the components. For novices, the RGB LED is a little tricky to solder as the leads are close together, so check for solder bridges when you are finished. 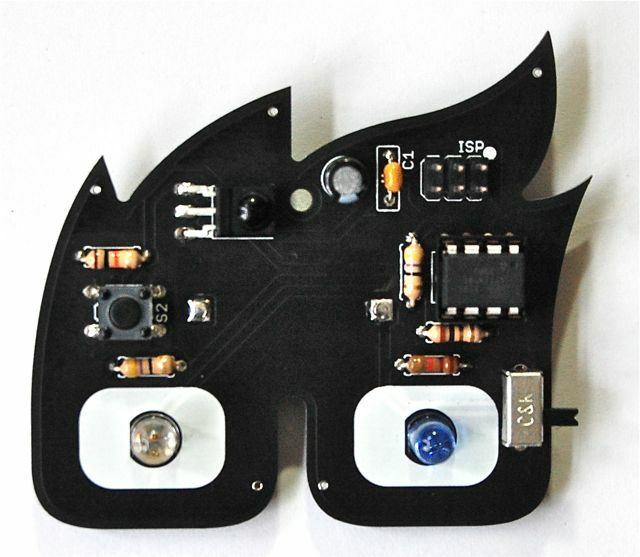 The badge is powered by an ATTiny85 microcontroller fitted in a DIL socket. 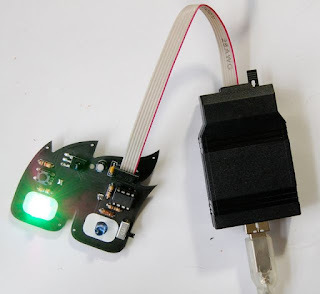 It has an RGB LED (left) an IR sender and an IR receiver as well as ICSP programming headers. The ATTiny comes ready programmed and when you turn the badge on, it cycles the LED through its colors. There are some instructions on installing various games on it here. Theses instructions are mostly in French, with an abbreviated version in English, but I had to refer to the French version to try and see what was going on. Better game translation please Snootlabs. If you have a number of these badges, you can play some interesting interactive games. Sadly I only had one, so I had to make do with a flashing LED. The boards are designed to be programmed using an Arduino as an ICSP, and there are instructions for doing this (in English). 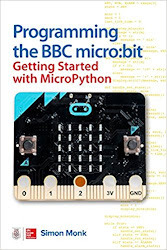 Unlike the approach of Hi Low Tech, you do not use the Arduino IDE to program them, but rather run 'make' files after configuring them for the port to use. The schematic for the Zombadge is available on the downloads tab of the product page. I would be interested to see if anyone gets any further with this. I can see some interesting hacks for this gadget, along the lines of TV be Gone! Anyway - irrespective of my failed attempts to hack it, this is a nice little gadget! Ouch, forgot the documents ... done now, see the "download" tab on our shop (shop.snootlab.com/lang-en/gift/121-zombadge.html).